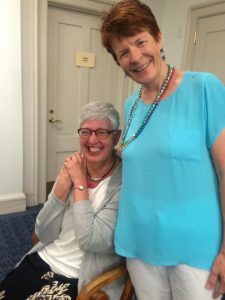 Book Launch by Ellen Wittlinger: Provincetown fun! Watching a seasoned pro pull off a book launch with grace and hospitality is such a joy. That was the case yesterday in the beautiful Provincetown Library, when Ellen Wittlinger celebrated the publication of her latest YA novel, LOCAL GIRL SWEPT AWAY. 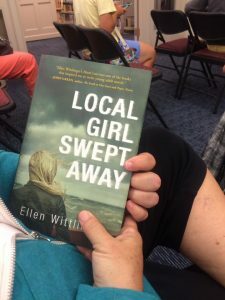 I’m a fan of Ellen’s writing, I love the Provincetown Library, and I look forward to the day when my own novel will be published, so I enjoyed this event on a lot of levels! First, watching Ellen…she warmly greeted all guests as they entered the room. A bookseller from Provincetown Bookshop was in the back of the room with a stack of LOCAL GIRL SWEPT AWAY for sale. 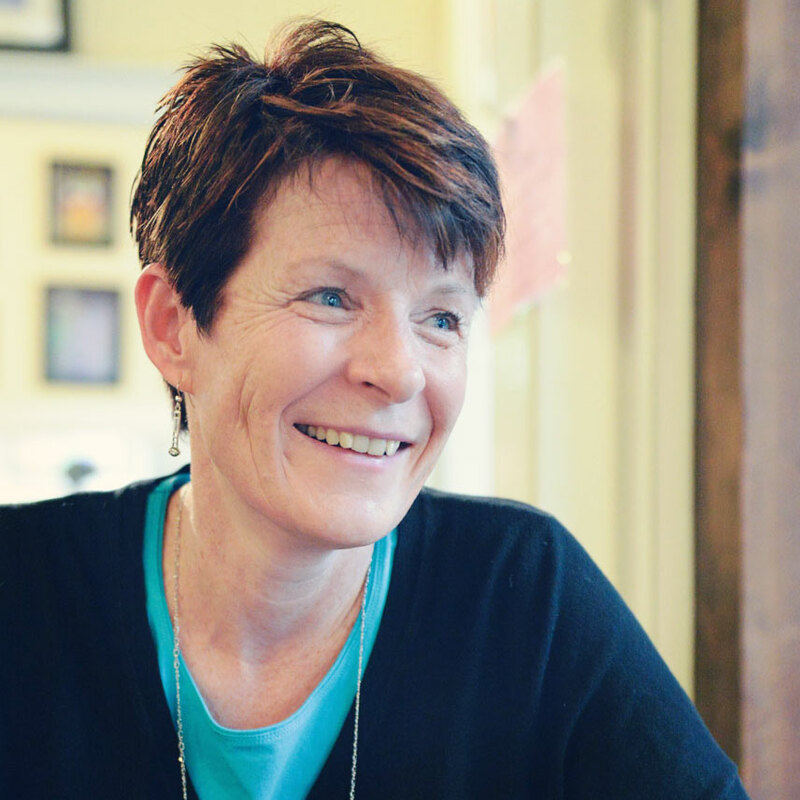 Ellen chatted with guests informally before the presentation began in a very relaxed and genuine way. She showed how much she appreciated each person being there. It was also fun to see Ellen’s family members there, including her adorable granddaughter! Ellen set up the novel well, explaining the inspiration for it (a long-ago event in Provincetown). She read Chapter 1 and a small bit from the middle of the book. They were the perfect excerpts to get the audience wanting to know more about this teen story set in Provincetown. 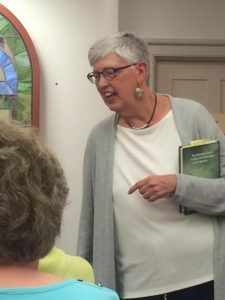 Ellen acknowledged the turnout (about 20 people), and said she was happy about that– she said she once had a reading where one person showed up! 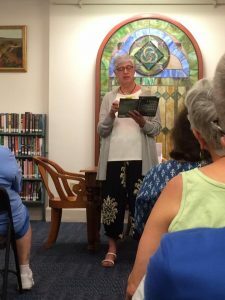 It was a reminder to me that even for a very seasoned and very published author, public readings can be a bit of a crap shoot. But this one had positive energy and a good number of people! 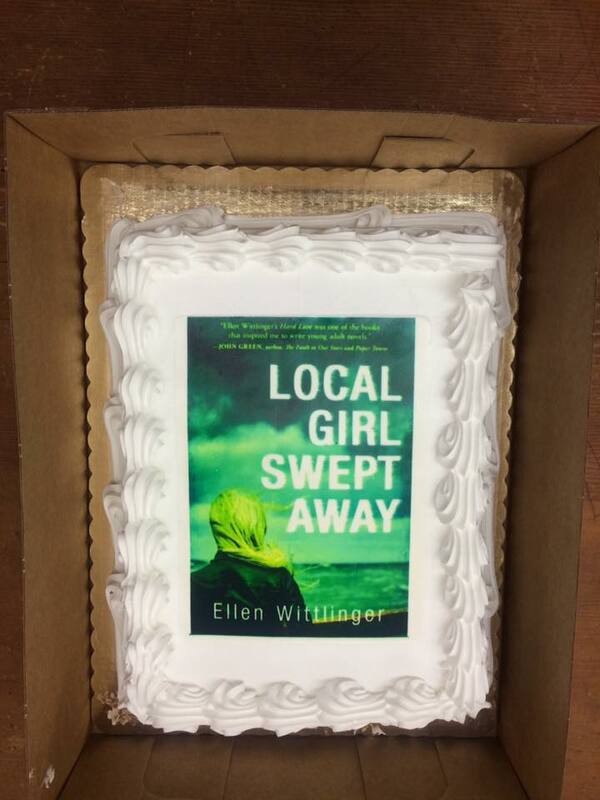 Finally, Ellen ended with questions, a cake, and signing her books. I was so happy to see Ellen! Again she warmly expressed gratitude to people for attending. It was over in an hour and we all left, books in hand and big smiles on our faces, happy to support this amazing author! 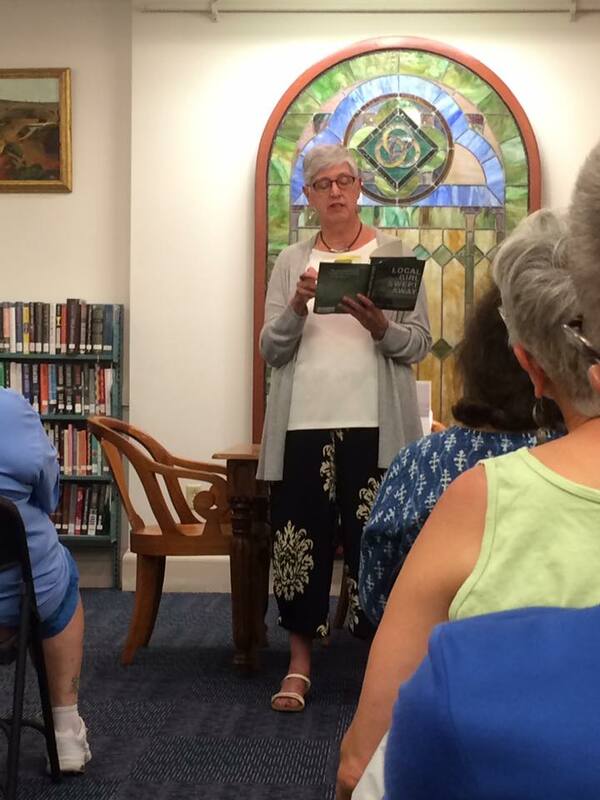 Reading at Truro Public Library, Standish Way, Truro, MA, July 1, 3 p.m.
Reading at Straw Dogs Writers Guild, The Basement, Center Street, Northampton, MA, July 5, 7 p.m.
Reading/signing at Porter Square Books, Cambridge, MA, August 5, 7 p.m.